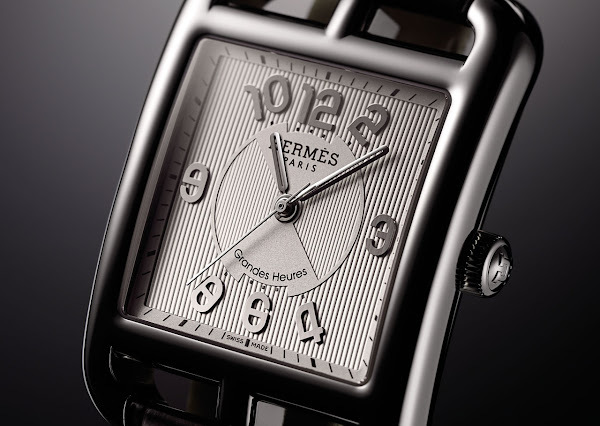 Hermès’ latest creation, the Cape Cod Grandes Heures, is an invitation to lengthen your most precious moments and to shorten the most mundane ones. This is reflected by the movement of the hands that accelerate at times or take a more leisurely pace at others. Everything, from the rectangular case to the finely engine-turned dial with its stylized hourmarkers, is designed to break the monotony of a conventional watch face. While the minutes and seconds on this unusual watch count off the 60 markers at a traditional pace, the hours are quite happy to follow their own schedule. An elegant expression of the passing hours that breaks with all conventional practices and offers a new way of measuring time: your very own!